Keith McMillen Instruments are already known for their innovative engineering when it comes to MIDI controllers. 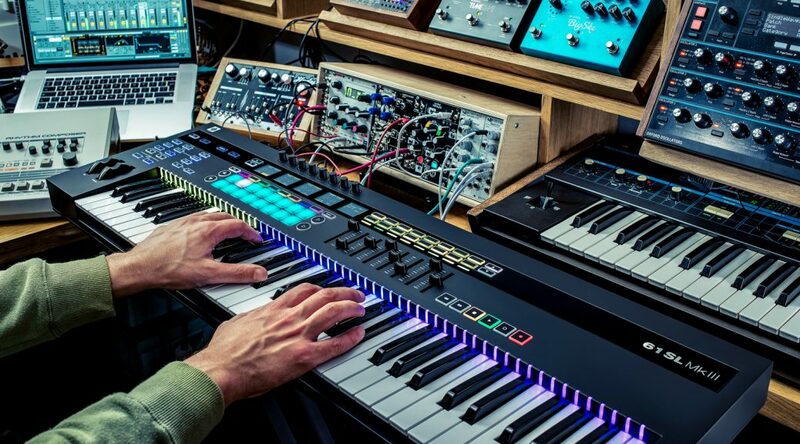 Well they now aim to take the standard keyboard controller to the next level with the K-Board Pro 4. Utilizing their Smart Sensor Fabric technology, the keyboard itself has the look of a conventional keyboard but has no moving parts and the keys are made of silicone. Each key press is capable of sending attack velocity, release velocity, continuous pressure, horizontal position, and vertical position data. This allows greater control of the individual notes as you play. It also features 4 additional controller strips along the top of the keyboard. There are other MPE controllers out there with similar functionality but they’re not cheap. Examples include the ROLI seaboard, LinnStrument and Eigenlabs’ Eigenharp. The K-Board Pro 4 is expected to retail for around $495 making it somewhat affordable in comparison. See the Kickstarter site for more details. 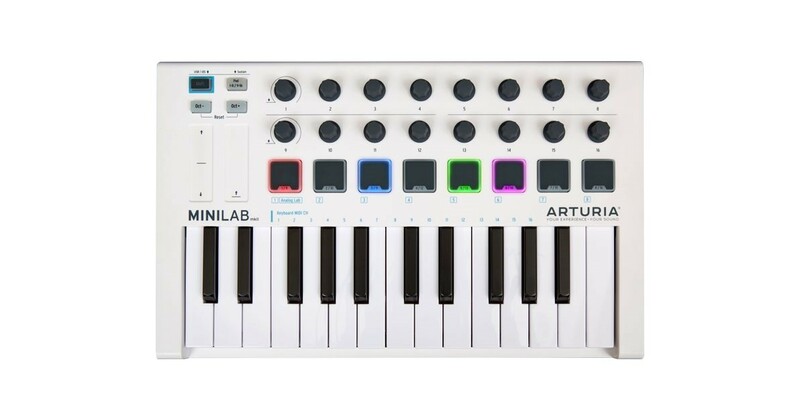 Featuring some refined improvements over the original MiniLab, the MiniLab MKII features 25 velocity sensitive keys, RGB back-lit performance pads and 16 rotary knobs. Aimed at musicians who are primarily on the move it promises to be lightweight yet rugged. It also comes bundled with Ableton Live Lite, Analog Lite and UVI Grand Piano Model B. 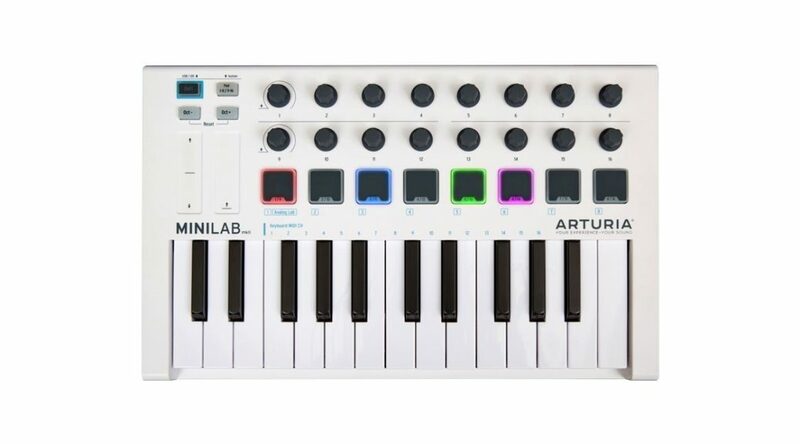 The MiniLab MKII is expected to be available at the end of this month.